Australian indie rick band British India. AUSTRALIAN indie rock band British India is the latest addition to the Bluesfest 2015 line up. Festival organisers have confirmed that the garage rock band will be playing at the Mojo tent this Friday from 7.30pm. The band formed in Melbourne in 2004, comprising lead vocalist, lyricist and guitarist Declan Melia, guitarist Nic Wilson, bassist Will Drummond and drummer Matt O'Gorman. They have released four studio albums. 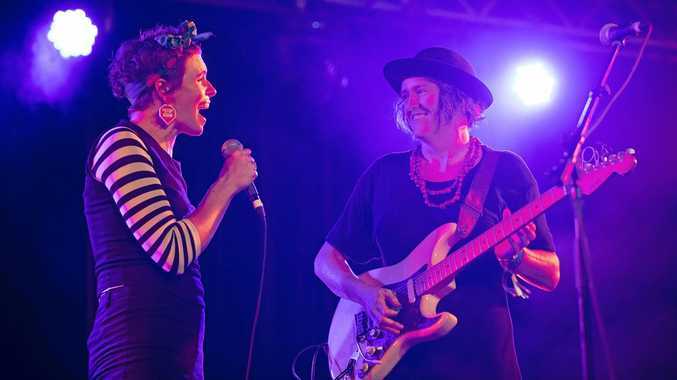 Bluesfest Byron Bay kicks off tomorrow and carries on over the Easter long weekend until Monday. The Melbourne four-piece released Nothing Touches Me in March. Festival director Peter Noble said he was excited to see British India grace the Bluesfest stage. "Whilst I attempted initially to get an international artist to replace The Black Keys, who pulled out due to issues with drummer Patrick Carney's shoulder injury less than 2 weeks before the festival, we weren't able to get a suitable replacement in time and have the visas issued," Mr Noble said. "We contemplated getting an International or Australian artist already performing to cover, and finally decided the artist should be one who is not already performing. "We have looked at scores of artists to play, and after much discussion within the company and the music industry have made our decision on who has been chosen. "British India are achieving major interest right now as a result of their recent release, and they are fast becoming one of Australia's foremost bands. We expect them to deliver a great show at Bluesfest. "This major stage play will be an integral part of their rise to the top here." British India will be launching into a massive national tour after Bluesfest to show their growing legion of fans their latest masterpiece. Bluesfest playing schedule and last available tickets available at www.bluesfest.com.au.